Mrs. Yollis' Classroom Blog: Happy 4th of July, America! Two years ago I was with my family on the Fourth of July, and we had a special event planned for the day. Fourth of July 2010 from yourwonderfulteacher on Vimeo. Flag Ceremony from yourwonderfulteacher on Vimeo. Last year, my class learned how to fold an American flag. I really enjoyed your post, especially your mom playing the piano. My mom also plays this song for us on the piano. We had a very fun 4th of July holiday. We first went to the city's swimming pool because they had a 4th of July pool party with many fun games for kids. Afterwards, we went to my grandma's house, to celebrate fourth of July and watch the fireworks. All of my family and friends also came to the party. The fireworks were spectacular, but very loud. We let our dog Romeo into the house during the fireworks so he wouldn't get scared. When it was time to leave, we couldn't find Romeo. We looked for hours everywhere for him and couldn't find him. It was already late, so we had to go home without him. We thought he ran away and maybe got eaten by a coyote. Everyone was really sad, and no one could sleep at night. We kept on checking to see if he would come home himself. The next day, when my grandpa woke up to go to work, he opened the closet to get his shoes, and he found Romeo sleeping there. He woke up my grandma screaming, "I found Romeo." We are really happy to have him back at our home. I am so relieved that you found Romeo! As I was reading your story, I felt a bit of panic. I can only imagine how hard your night was thinking about your pal. How funny that he ended up in the closet. You'd think he would have barked or something after a while. I'm glad you enjoy my mom playing You're a Grand Old Flag! She knows a lot of patriotic songs, and we always enjoyed singing along on special American holidays. We certainly missed seeing you when Mrs. Morris was here. However, I was happy to see that you were having fun on your Hawaiian holiday. Mr. Yollis and I bought a little plastic pool for Buck, and we are going to fill it tomorrow and see how he likes it. Summertime is always a fun time! Thank you so much for responding back to me. I also want to thank you for publishing all of my 366 photo's I sent you from Hawaii. I hope Bucks likes to swim. Our dog doesn't like water and would not even go close to our pool. When we try to splash him, he runs away and starts to bark. Does Buck like water? Did he jump up on anyone on fourth of July? I have a lot of things to do for the summer. First, I have to work on my fourth grade math and English for next year. My mom and I are also reading a book together called Anne of Green Gables. It is my mom's favorite book, and we read a few pages every night. I also have to practice my piano and violin. I still go to my gymnastics class and in the afternoon I swim with the swim team together with my siblings. They swim all year round, but I swim with the swim team only in the summer. I also swim in our home pool and we plan on going to the beach on the weekends. I will continue to write new blogs and leave comments all summer. I hope you will have a good summer too. 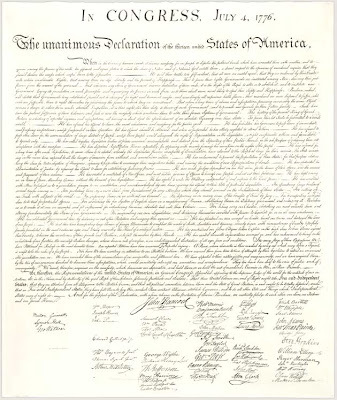 I really think it is so wonderful how you all celebrate the 4th of July. I do remember reading the first post and I enjoyed re reading this post once again. I truly loved listening to your mum sitting at the piano and playing that wonderful piece of music. I love celebrating the Fourth of July! Sadly, I was not at our family lake cottage on the 4th. 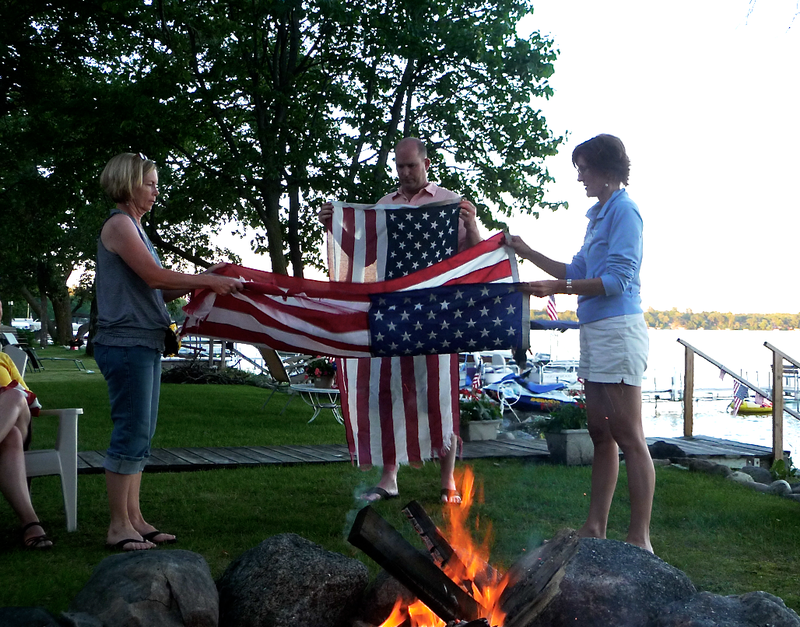 The lake cottage is on a lake in Minnesota, and lots of people get in the spirit. For example, they have a boat parade. Lots of people decorate their boats and play patriotic music as they go around the lake. There is also a fireworks show at night. They time the show to correlate with music that is played on the local radio show. It fabulous to have the firework show accompanied with music! Plus, the fireworks reflect on the water a look gorgeous. Yes, Buck is quite the Patriotic Pooch! Your summer vacation is well and truly under way at the moment and, of course, you have just had Independence Day. 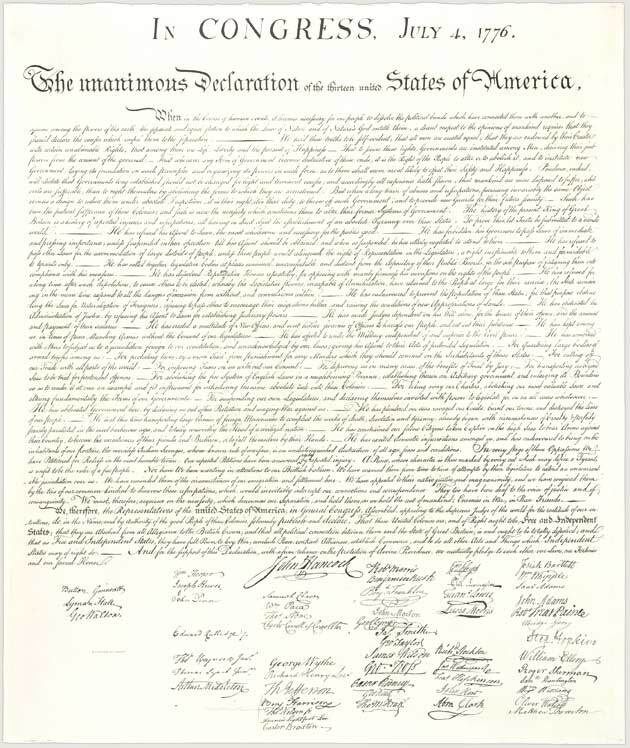 I know how important it is to celebrate the founding of your nation. If I read it correctly, Australia also owes something to American Independence. When the English lost "their" America, they were looking for other places to settle and also a place to send the many convicts in English prisons. With Captain Cook having mapped Australia's east coast in 1770, they looked towards what he called New South Wales. In 1788, the first ships arrived and, in 1789, my first relatives. Had it not been for American Independence, Australia might have been a Dutch settlement. Thanks for such a wonderful comment! One of the things I love about you is that you always add an interesting perspective to a post. I've never thought about the impact our independence had on other countries like Australia. You mentioned that your ancestry goes back to 1789. How have you been able to trace back your family? Did your family keep good records or letters? Just curious. We have one family member who is very interested in the family tree and has kept us all informed. Perhaps you are that person in your family? Perhaps you are that person in your family (who has traced family history)? In my family’s case, two uncles on my father’s side delved into the family history. Much of their later lives were spent in researching my paternal side. One concentrated on the convict history and wrote a book on the family history for family members. It was called “Tucker’s Farm”. The second uncle spent his time researching family history links through time. With his passing, his daughter continued his work and produced a large volume with links back 2000 years or so, although links way back are more likely to be clouded by time. You mentioned that your ancestry goes back to 1789. How have you been able to trace back your family? There is a growing amount of information on line regarding genealogy. Like any online material, there is also misinformation. It seems better to ignore anything listed as possible without other supporting information. When I was in Edinburgh in 2010, I found there was a place the Scottish government has set up for those tracing their Scottish ancestry. Without records of maternal Scottish heritage with me, I was unable to do any research in the time I was there. I know there are also genealogy groups people can join. Did your family keep good records or letters? We do have records of some letters dating back to the convict days. In his research, my uncle found letters written by our convict ancestor (John Tucker) to the new Governor of New South Wales after his arrival in the colony following the NSW Corps’ ousting of Governor Bligh. Having the ability to read, write and do maths, my convict ancestor wasn’t subject to hard labour as were many others. He worked in the government stores and, on completion of his term, had been granted farmland in the Hunter Valley to the north of Sydney (now an important wine making region). Arundel, Bassett, Beauchamp, Bevill, Bligh, Bodrugan, Botreaux, Brent, Brightley, Carminow, Carne, Champernowne, Chichester, Chiverton, Cobleigh, Cockworthy, Corbet, d'Albini, d'Anjou, d'Arches, Dacre, de Beaumont, de Belfoi, de Cukeney, de Glanville, de Moels, Dinham, Dymock, Falaise, Ferris, Fitzalan, Fitzjohn, Fitzmaurice, Fitzrichard, Fitzsimon, Gernon, Giffard, Gill, Godolphin, Grose, Gross, Gruffydd, Hornblower, Jones, Kemp, Kemyle, Lloyd, Long, Longmaid, Lovel, Lukey, Marshall, Martyn, Metcalf, Montacute, Montagu, Montbegon, Montfort, Morley, Mortimer, Mules, Mullis, Mulys, Munday, Newcourt, Newmarch, Orlean, Osborn, Parker, Paulet, Pawlet, Penthievre, Pilkington, Plantagenet, Radcliffe, Rolfe, Shandos, Simmons, Sims, Spence, Stafford, Stokes, Stourton, Stowford, Symons, Trethaway, Trevanion, Trewren, Truran, Tucker, Tudenham, Udy, Vernon, Vivian, Weyland, Whalesborough, Wotton, Wyatt. I really like your video about your mom playing the piano on forth of July. I went to the field next to my grandma's house to watch fireworks. We also jumped on 2 bouncers. The fireworks were pretty and loud.